Summer is so much fun, sun touching your face, drinks on a terrace, swimming at the beach! And when you dress yourself in amazing patterns and prints it will definitely make you feel happy and cheerful! 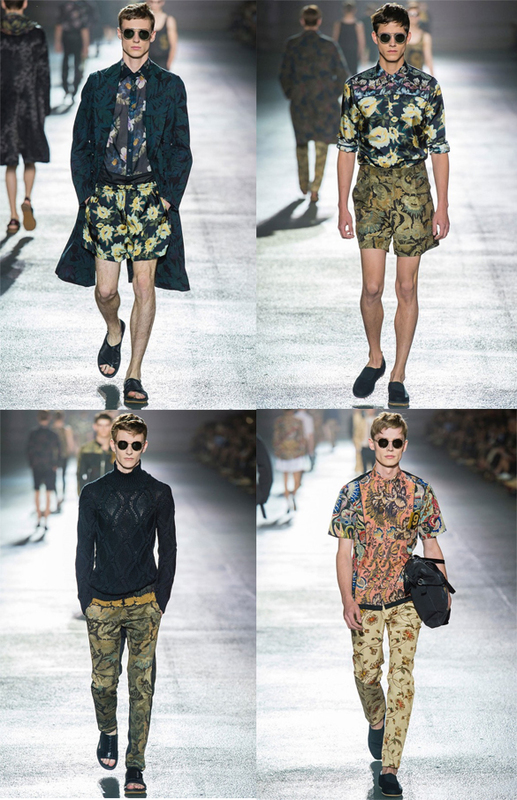 Loving the new Dries Van Noten Spring/ Summer 2014 collection showed at Paris fashion week. The Dark Botanical flowers, mixed together in an interesting combination of patterns. Love this movie of KENZO’s new collection. The colors, patterns, models and movements beautifully come together. Appreciate a bit of madness!